Game of Thrones’ “Hall of Faces” at SXSWesteros. Last month, I attended my second South by Southwest Interactive in Austin, TX. Last year, the adorable dogs of Mophie caught my fancy, but this year, one of my biggest takeaways were tortillas. No, not literally (actually, yes, literally, I’m sure I packed away more than my fair share of tortillas, but let’s not dwell on that, okay?). Why tortillas? Well, one of the first things I saw on the streets of Austin were flyers promoting La Tortilla Bendita. The brainchild of a local ad agency, Archer Malmo, the idea was that you could take a selfie, send it in, and receive an actual tortilla “blessed” with your likeness. Tortillas weren’t the only thing you could add yourself to. 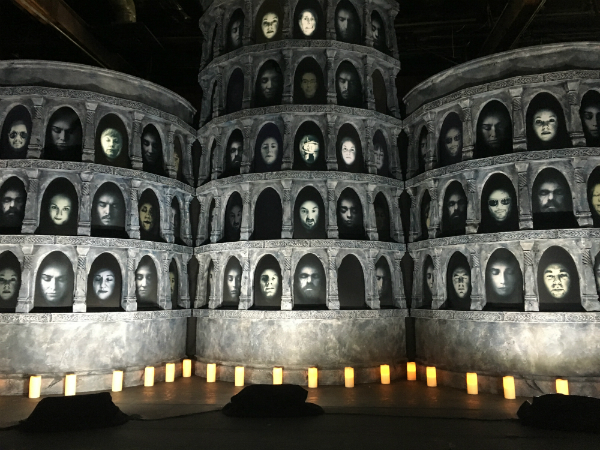 The “Hall of Faces” was the centerpiece of Game of Thrones’ SXSWesteros installation. As part of the promotion of the show’s upcoming sixth season fans in Austin (and online) are able to include their selfie on the Hall of Faces, right next to the show’s most popular characters. But the trend isn’t just about the power of selfies. There were more meaningful examples of the ways businesses have started to include their customers into their actual products. One of the featured exhibits at the Blanton Museum of Art on the University of Texas campus is “Come as You Are: Art of the 1990s“. Visitors to the museum are invited to not only view the art, but also be a part of the exhibition itself by making mixtapes of 90s music for other viewers to listen to while they tour. Why does any of this matter? Our customers are more and more cynical about advertising. They don’t believe it. 84% of Millennials don’t trust traditional advertising. So who do we have faith in? Ourselves and our friends. By making us part of their product, marketers at Archer Malmo, HBO, and the Blanton Museum not only get each of us personally more invested in it, they’ve also created unique ways for us to share that investment and recommendation with our friends. I think the future of advertising isn’t just in creating messages that resonate with our customers, but also in creating memorable ways for customers to actually be a part of those messages.